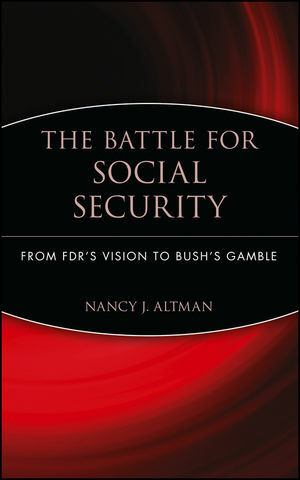 This book illuminates the politics and policy of the current struggle over Social Security in light of the program's compelling history and ingenious structure. After a brief introduction describing the dramatic response of the Social Security Administration to the 9/11 terrorist attack, the book recounts Social Securityâ? ?s lively history. Although President Bush has tried to convince Americans that Social Security is designed for the last century and unworkable for an aging population, readers will see that the President's assault is just another battle in a longstanding ideological war. Prescott Bush, the current Presidentâ? ?s grandfather, remarked of FDR, "The only man I truly hated lies buried in Hyde Park." The book traces the continuous thread leading from Prescott Bush and his contemporaries to George W. Bush and others who want to undo Social Security. The book concludes with policy recommendations which eliminate Social Security's deficit in a manner consistent with the program's philosophy and structure. NANCY J. ALTMAN is the Chairman of the Board of Directors of the Pension Rights Center. From 1977 to 1981, she was advisor to Senator John C. Danforth (R-Mo.) on Social Security issues. In 1982, she was assistant to Alan Greenspan when he chaired the bipartisan commission that produced the 1983 Social Security amendments. From 1983 to 1989, Altman was on the faculty of Harvard University's Kennedy School of Government, and taught courses on Social Security and private pensions at the Harvard Law School. Chapter 1: From the Poorhouse to Free Parking. Chapter 2: Social Security’s Grandfather. Chapter 3: Essential Insurance, Poor Welfare. Chapter 4: Bold Woman, Cautious Men. Chapter 5: A Teeny-Weeny Bit of Socialism. Chapter 7: Ready, Set, Start Again. Chapter 8: Dr. Win-the-War Replaces Old Dr. New Deal. Chapter 9: Third Time’s the Charm. Chapter 10: All American Program (Minus a Tiny Splinter Group). Chapter 11: Visible Gains, Subterranean Tremors. Chapter 12: The Sky is Falling and Social Security Is Bust. Chapter 14: A Leninist Strategy. Chapter 15: The Drumbeat Finds a Drummer. Chapter 16: The Ideal, Pain-Free (For Almost Everyone) Way to Strengthen Social Security. Chapter 17: From FDR's Vision to Busg's Gamble. "[A] fine history … the best single explanation for Bush's [defeat] …Altman tells the story wonderfully…moves briskly…interesting story line."